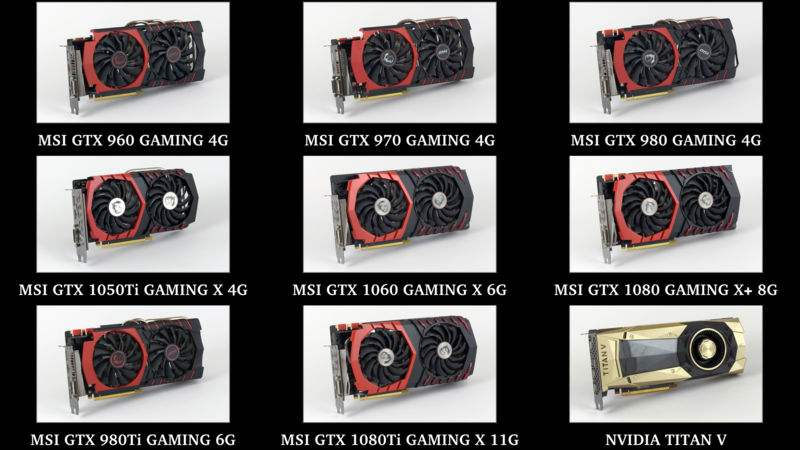 Everything points toward an August-September launch window for the next-generation GeForce graphics cards as NVIDIA will host the "GeForce Celebration Event" on 20th August at Gamescom 2018. 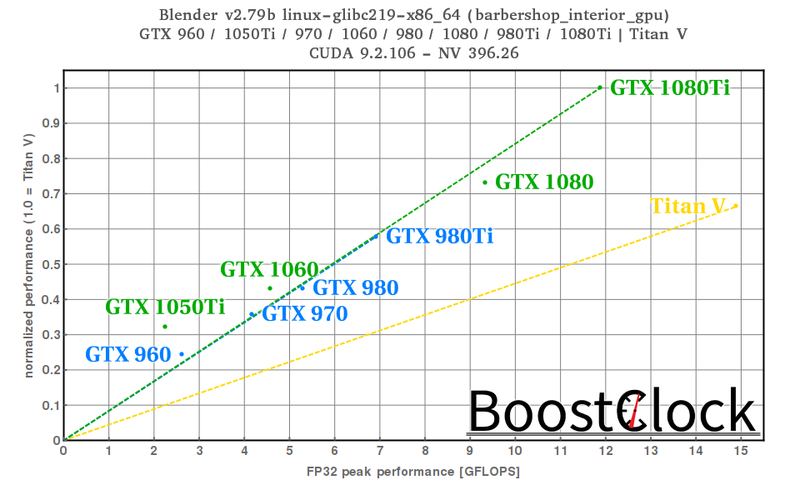 For a long time, Nvidia’s Volta was tipped to succeed Pascal as the architecture of next-generation consumer graphics cards, now, it is unknown how Nvidia will segment their line-up and what are the actual differences between different codenames like Turing and Ampere. 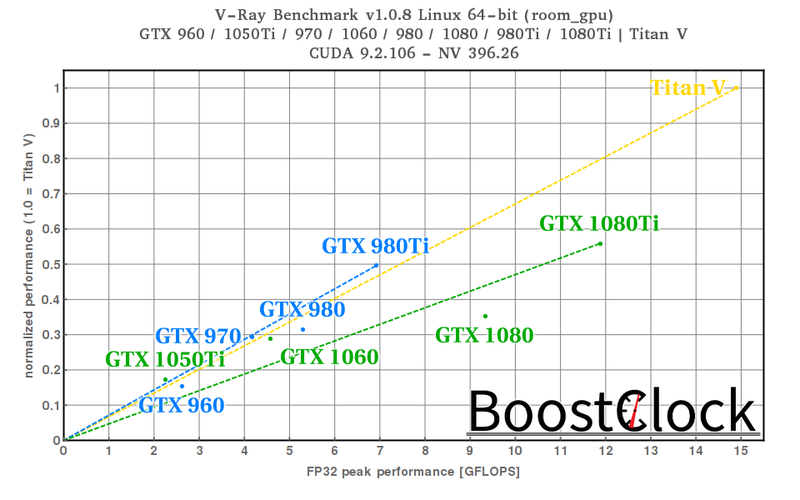 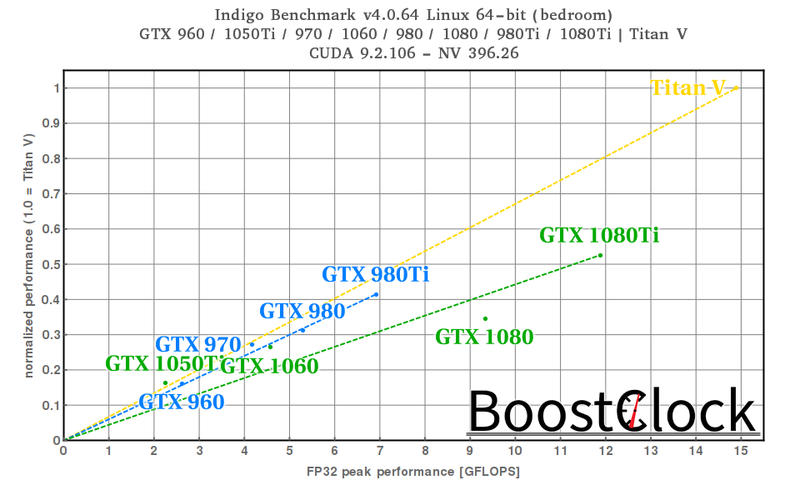 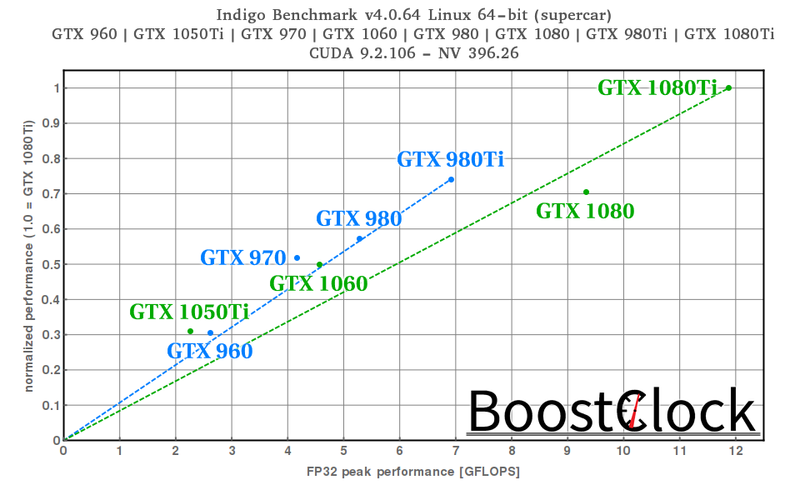 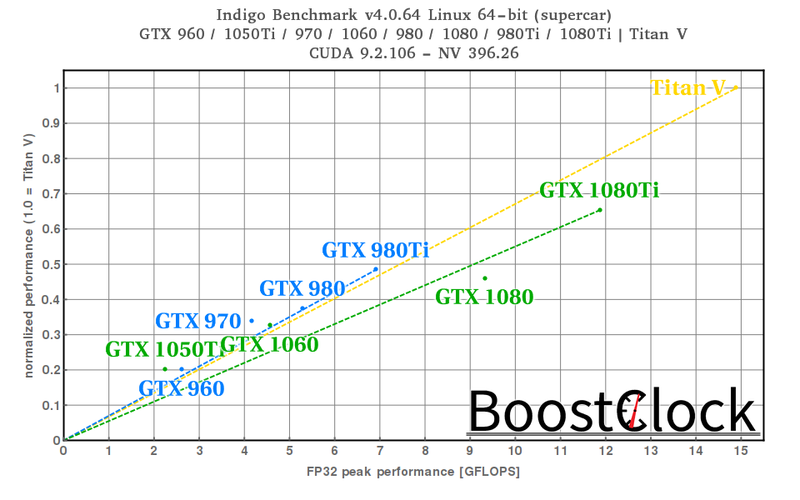 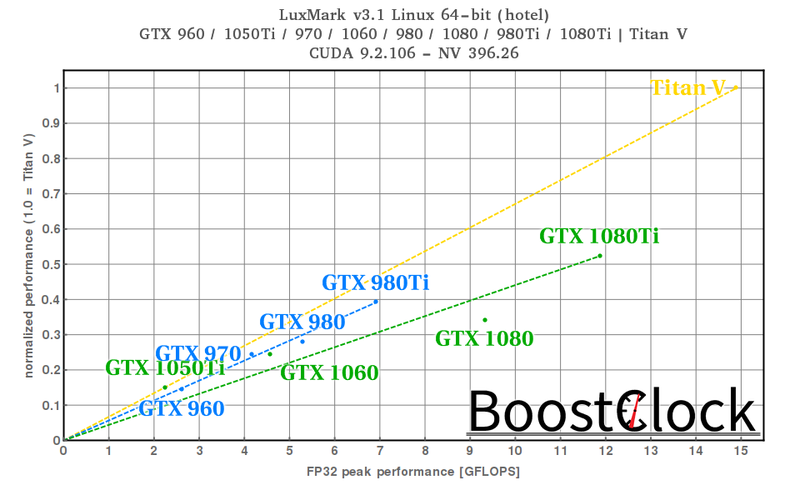 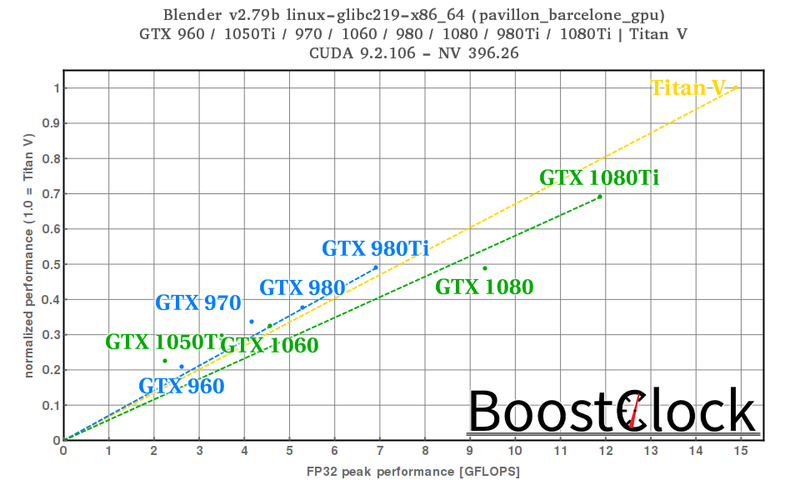 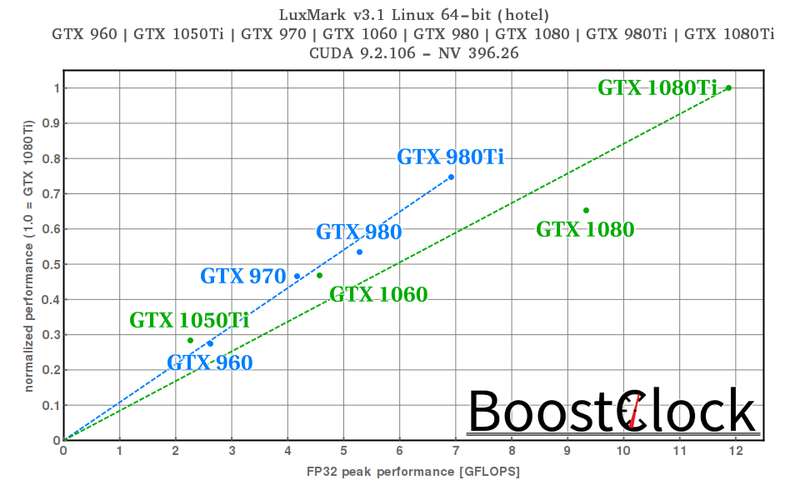 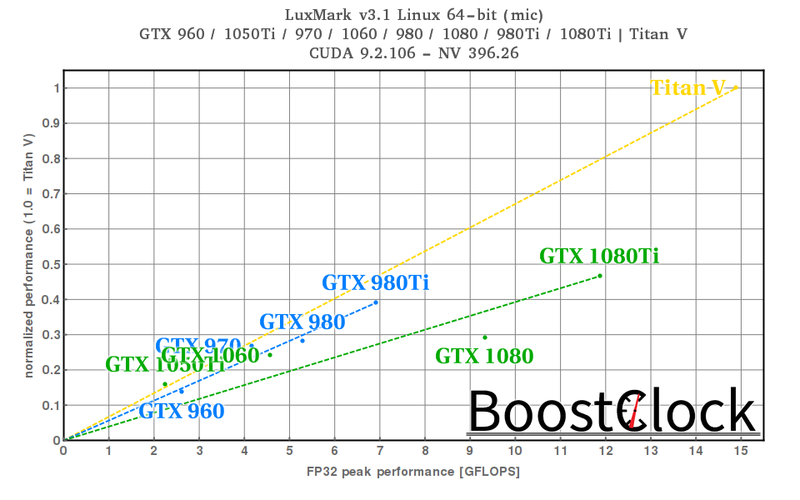 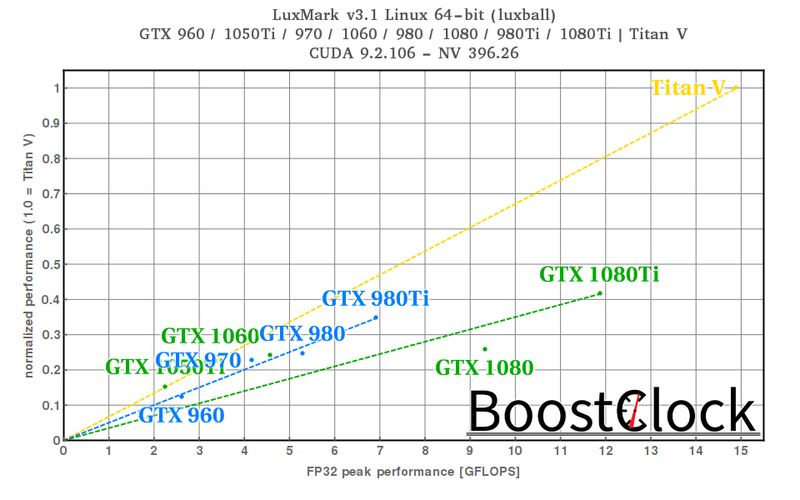 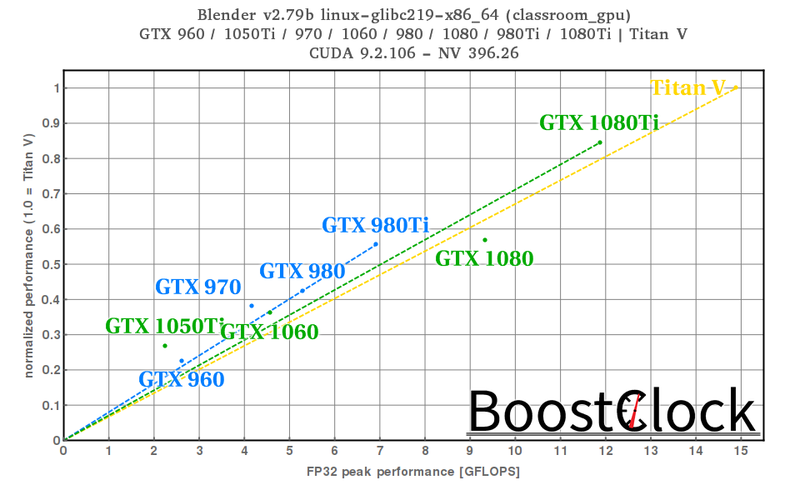 Nevertheless, I crunched the data of our recent NVIDIA GPU rendering benchmarks and plotted the results in a diagram where the peak theoretical performance goes on the x-axis and the actual rendering performance relative to the top performers goes on the y-axis. 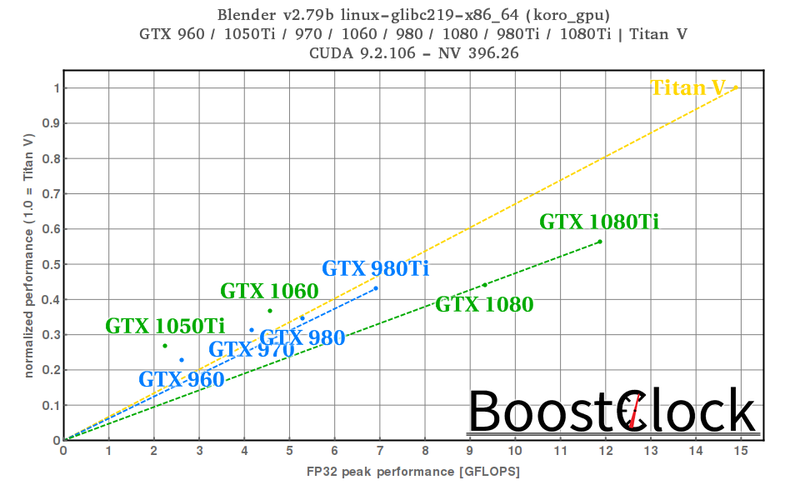 With this kind of data presenation we can speculate how the next-gen cards could potentially perform in these GPU rendering scenarios. 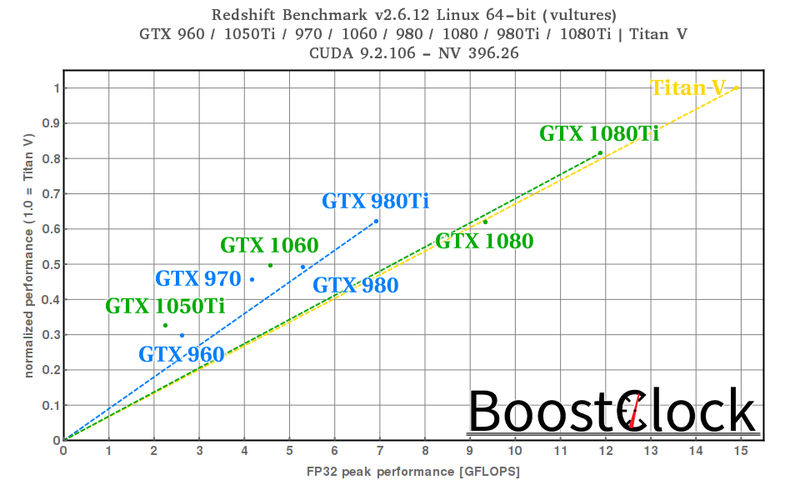 Redhsift offer a demo version of their fully fledged application, it is functionally identical to the commercial version, but renders with a watermark. 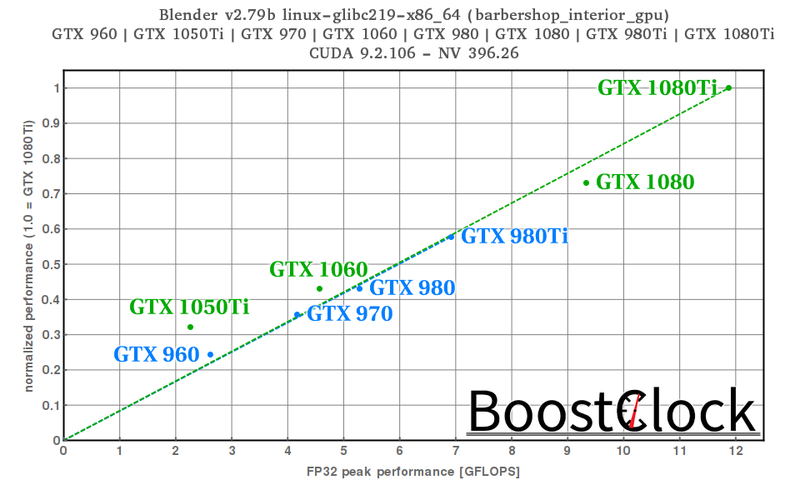 For the data points in this video I used the command line version of the tool, instead of the benchmark variant - strangely enough, they don't produce the same results. The command line version provides a more in-depth log file about the various stages of the rendering process - the time of the "Rendering blocks..." stage is used as the result.